Adila is a little girl who lives in Pakistan and loves going to school. She’d like to be a teacher, a writer, or a doctor one day, but her parents think that, once she has learnt to write and read, it would be safer for her to stay at home. Thanks to her teacher, Adila discovers the figure of Malala, a girl who loves reading and studying just like her, and who is now fighting for children’s rights. Adila understands that it takes courage to continue along her path, and she will find such courage in the model of Malala. 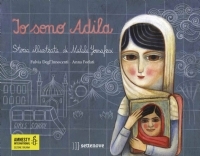 Sponsored by Amnesty International – Italy, this book tells the story of Malala Yousafzai (Nobel Peace Prize 2014), through the description of the everyday life of a common girl. Also the stylistic trait of the illustrations helps to create a shared identity between the two young female protagonists of the book, who look very similar in their physical appearances, in their dressing styles, and above all in the hopeful expressions of their faces. The book is particularly suitable for an accompanied reading, for the presence of cultural and encyclopaedic elements. The original Italian edition was published by Settenove, which was created in 2013. It is the first editorial project in Italy entirely dedicated to preventing discrimination and gender-based violence. 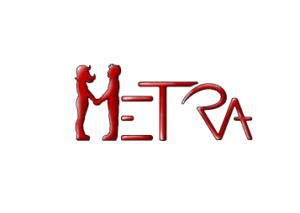 It deals with these themes from different points of view and through all literary genres, with a focus on Italian and international fiction for children and young adults, which contributes to the development of a dimension free from stereotypes.